Get in touch with nature at Melbourne Zoo and St Kilda beach. You'll explore and learn at Melbourne Museum and Shrine of Remembrance. Dedicate the 21st (Mon) to wine at some of the top wineries in the area. 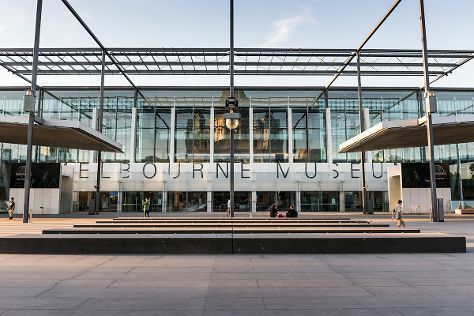 There's much more to do: admire the masterpieces at National Gallery of Victoria, see the interesting displays at National Sports Museum, take an in-depth tour of Immigration Museum, and steep yourself in history at Old Melbourne Gaol. To see other places to visit, maps, ratings, and more tourist information, read Melbourne driving holiday planning tool . Zurich, Switzerland to Melbourne is an approximately 25-hour flight. You can also do a combination of flight and train. Traveling from Zurich to Melbourne, you'll lose 9 hours due to the time zone difference. Traveling from Zurich in October, you will find days in Melbourne are a bit warmer (24°C), and nights are about the same (9°C). Wrap up your sightseeing on the 26th (Sat) early enough to travel to Sydney. 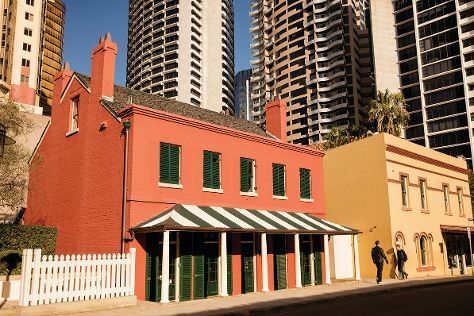 Deepen your sense of the past at sights like The Rocks and Cremorne Point to Mosman Bay Walk. Get in touch with nature at Bondi to Coogee Beach Coastal Walk and The National Pass. Step out of Sydney with an excursion to Norman Lindsay Gallery & Museum in Faulconbridge--about 1h 20 min away. Spend the 30th (Wed) exploring nature at Sydney Harbour National Park. There's much more to do: examine the collection at Australian National Maritime Museum, admire the masterpieces at White Rabbit Gallery, enjoy the sand and surf at Coogee Beach, and take in the exciting artwork at Brett Whiteley Studio. For maps, traveler tips, ratings, and more tourist information, use the Sydney road trip planning app . You can fly from Melbourne to Sydney in 3.5 hours. Other options are to do a combination of shuttle and flight; or drive. In October, Sydney is a bit warmer than Melbourne - with highs of 28°C and lows of 17°C. Finish your sightseeing early on the 6th (Wed) so you can travel to Brisbane. Step out of the city life by going to Lone Pine Koala Sanctuary and Mooloolaba Beach. Appreciate the collections at Queensland Art Gallery and Montville Art Gallery. Get out of town with these interesting Brisbane side-trips: Kondalilla National Park (in Montville), Conondale National Park (in Kenilworth) and Caloundra (Caloundra Regional Art Gallery & Kings Beach). The adventure continues: have fun at South Bank Parklands, view the masterpieces at Atrium Gallery at Buderim Craft Cottage, explore the striking landscape of Burleigh Head National Park, and explore the galleries of Art on Cairncross. To find other places to visit, photos, more things to do, and more tourist information, use the Brisbane road trip app . Traveling by flight from Sydney to Brisbane takes 4 hours. Alternatively, you can do a combination of flight and bus; or drive. Expect a daytime high around 31°C in November, and nighttime lows around 21°C. Cap off your sightseeing on the 15th (Fri) early enough to travel to Cairns. Step out of the city life by going to Scuba & Snorkeling and Daintree Rainforest - Cooper Creek Wilderness. You'll find plenty of places to visit near Cairns: Port Douglas (Eye to Eye Marine Encounters, Wildlife Habitat Port Douglas, & more), Daintree National Park (in Cape Tribulation) and Palm Cove (Palm Cove Beach & Hartley's Crocodile Adventures). There's lots more to do: trek along Esplanade Boardwalk, take in the architecture and atmosphere at St Monica's Cathedral, enjoy the sand and surf at Trinity Beach, and tour the water at your own pace with Shaolin Junk Cruises. To find reviews, ratings, traveler tips, and more tourist information, use the Cairns trip builder site . Getting from Brisbane to Cairns by flight takes about 5.5 hours. Other options: do a combination of bus and flight; or drive. Traveling from Brisbane in November, things will get a bit warmer in Cairns: highs are around 36°C and lows about 26°C. Cap off your sightseeing on the 26th (Tue) early enough to travel back home.